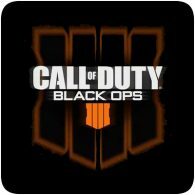 Posts tagged "Call of Duty: Black Ops 4"
Call of Duty fans will be delighted to know that Black Ops 4 is free to play this month, until 30th April 2019. The game can be downloaded from the PlayStation Store, giving gamers access to the full version of the game, including the newly released Alcatraz map. The PS4 is getting an exclusive private beta for upcoming shooter Call Of Duty: Black Ops 4, followed by a separate private beta in September. Starting at 5pm BST on 3rd August, the beta will be available to those who have pre-ordered Black Ops 4 for the PS4. The following weekend, the beta will open up to other platforms. Call of Duty is back this year with the release of Call of Duty: Black Ops 4. Activision has confirmed that the game will be releasing on 12th October 2018, for PS4, Xbox One and PC. More information about the game will be revealed during a live-streamed event on 17th May 2018.